By Jake Rocheleau in Coding. Updated on November 26, 2017 . 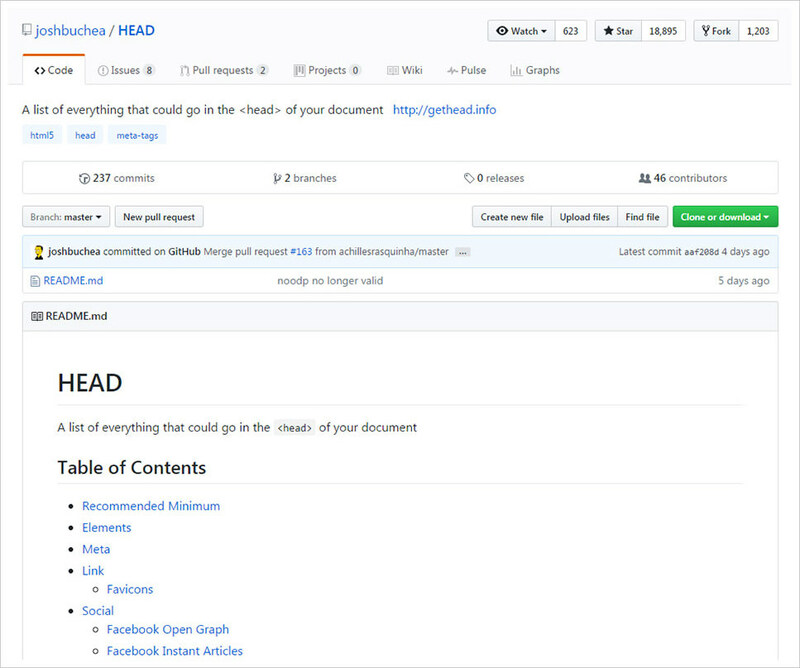 Every web page has a document header and there’s a lot that goes in there. WordPress users often rely on SEO plugins to handle the complex meta tags. However, if you’re coding a theme from scratch you may want to expand your document header a bit. There are literally hundreds of tags you can use each with their own subtle purpose and Get Head Info is the only cheatsheet you need on this topic. 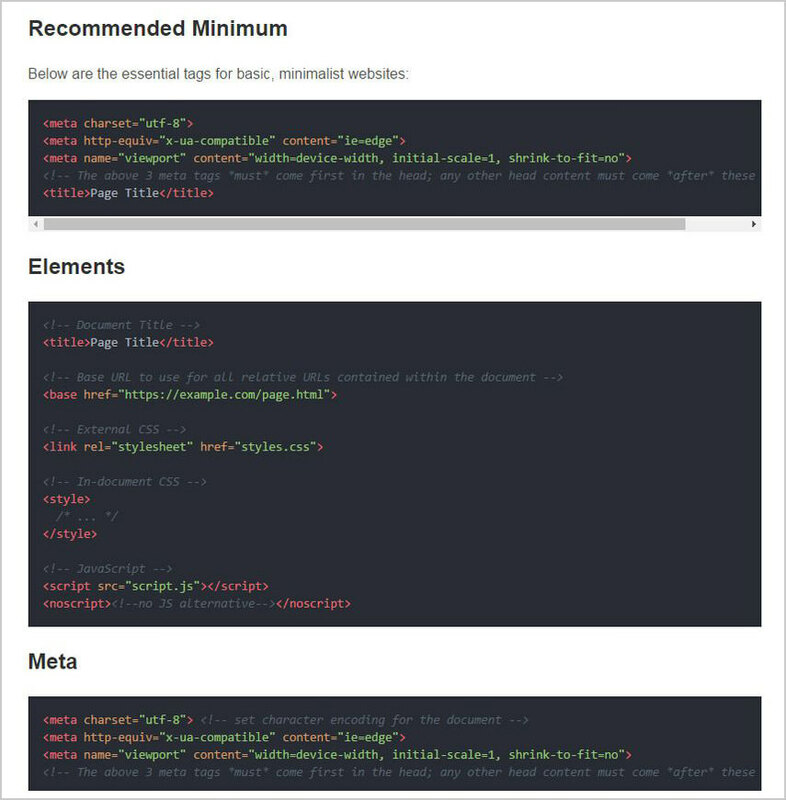 It lists every tag, organized by a table of contents based on the most common solutions used by web developers. You can also find this list on GitHub where it started as a simple repo. The main site is a separate entity maintained by the creator Josh Buchea. But, the GitHub repo is open for pull requests, so other developers can add tags or recommend changes. You can actually see a list of contributors on the official GitHub repo. This repo has grown so large that it’s been translated to a handful of languages such as Japanese, Chinese, and Brazilian Portuguese. This thing is huge with literally hundreds of tags to go through. Each one has an HTML comment above the tag, so you know exactly what it does and why you’d use it. If you’re a complete beginner starting out learning to code websites then this resource will prove invaluable to the process. Take a peek at the main site and keep it bookmarked for future reference.